The Aztec Incident, Scott and Suzanne Ramsey, Aztec.48 Productions, Mooresville, NC, 221 pages, no index. Let me say first that this was a fun book to read. I have been aware of the alleged Aztec UFO crash almost from the moment that I became interested in UFOs. I remember, while still in high school so many years ago, reading J. P. Cahn’s expose of the story in a back issue of True. I was especially interested because I was living in Aurora, Colorado which is, of course, right next door to Denver (and in fact, when most people ask about it I say Denver unless they are familiar with the area), and Denver had a prominent role in the original story. That said, I found the book somewhat disappointing, but that might be a result of hearing, for the last several years, about a new investigation that had uncovered new and important clues. I had heard about new witnesses to the crash and new information that should be quite persuasive for those with an open mind. There are two new first-hand witnesses, both no longer available for interview. One of them, Doug Noland, tells a robust tale, but is slightly contaminated because he approached William Steinman who wrote about the Aztec crash in the mid-1980s. While it certainly makes sense for a witness who knows something about the case to come forward, it isn’t as clear cut as if the Ramseys found him through investigation and there is nothing in the book to tell us that. To make it worse, Noland’s tale mirrors part of the Frank Scully story as reported by Scully in Behind the Flying Saucers. Scully wrote of Dr. Gee and the scientists who watched the crashed saucer for two days before they approached and how, with a pole poked through a small hole in a porthole, tripped a switch that opened the craft. In fact, the Ramseys go out of their way to avoid much of what Scully reported about the Aztec crash, seeming to ignore Scully’s first, tongue-in-cheek references in his newspaper column, the crashes in other parts of the United States and the world, or that the crew had been dressed in garb reminiscent of the 1890s, but they all had perfect teeth. Anyway, Noland claimed, and the Ramseys reported, that those on the scene, including workers for the El Paso Oil Company, and an apparent horde of other on-lookers, climbed all over the craft. It was Bill Ferguson, a friend of Noland’s, who used the pole to probe the broken porthole, opening the ship. It was sometime after that, after Noland and his pals got a look inside, that the military arrived. True, there were some police on the scene early, but they did nothing to dissuade the civilians from their close examinations. But Noland’s tale about the scene differs in these ways, from that told by Scully. One of the policemen identified is Manuel Sandoval, who was from Cuba, New Mexico, not all that far from Aztec. 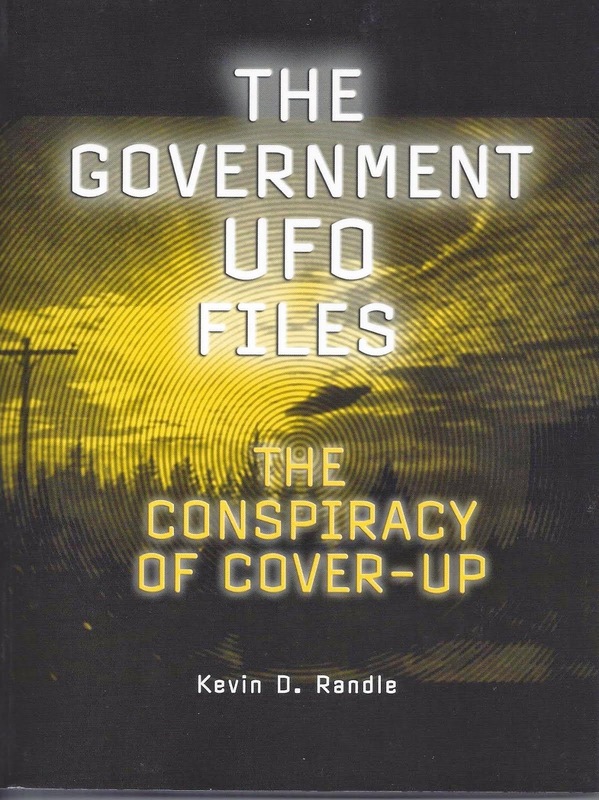 The problem here is that the Ramseys did not interview Sandoval, though you wouldn’t know that from the book, and it was only a distant relative who suggested that he had heard Sandoval talk about the UFO crash. The other first-hand witness, Ken Farley, came down to the Aztec area to pick up a friend and saw all the commotion. The friend with Farley, who is never identified, saw the craft and the bodies but the reason for being in the area is a little farfetched. There is the tale of Virgil Riggs (though on a copy of orders published show the name spelled Virgel... but then, these sorts of things often contain misspellings), who lived in Aztec as a kid, heard the stories of the crash, but saw nothing himself. 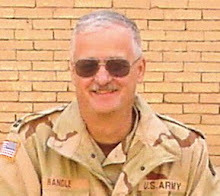 His own father didn’t believe it happened, but Riggs ran into a fellow while serving in the Air Force in England who had seen it all. This fellow airman, named Donald Bass but who was called Sam, told a first-hand tale, but Bass was dead, according to family, killed by a hit-and-run driver in Vietnam. The Ramseys didn’t check out that story, and not being Vietnam Veterans themselves, probably didn’t realize that there are many such tales floating around. It took me about a minute to find a web site based on the names on the Vietnam Memorial that listed every American service member who died there. No one named Bass was killed in a hit-and-run in Vietnam and no one who served in the Air Force named Bass died in Vietnam. Clearly the story told to the Ramseys was untrue. There were some other similar problems. There are many documents in the book, but there is little explanation about them, and some clearly have nothing to do with the Aztec case. One of them that I think of as the Hoover memo, is a handwritten note by Hoover that mentions "...full access to discs recovered. For instance, in the La case the Army grabbed it..."
But this is a reference to the Shreveport, Louisiana hoax of July 1947 and has nothing to do with Aztec. And, since it refers to a hoax, it does nothing to support any crashed disk recovery, regardless of location or time frame. That is the real problem here, which is information is thrown at the reader, but some of it is irrelevant and some of it unexplained. That detracts from the overall message of the book, which is that Aztec is a real UFO crash. Although the Ramseys fail to prove the point, this is an amusing book. For those interested in UFO crashes, or the whole Scully story, this provides an interesting take on it. The evidence is very weak and certainly does not overcome the baggage of the Aztec case. For historical purposes, this is an interesting book. For evidence of a crash, it fails to convince. Philip Mantle, Roswell Alien Autopsy published by RoswellBooks.com, Edinburg, Texas, 293 pages with an index. Philip Mantle, a British UFO researcher has been involved with the alien autopsy almost from the moment that it was announced to the world that the film existed. He has met with all the primaries in the case, including those who hold the film, those who have examined it, and those of us who have researched it and UFOs for many years. If someone was going to write the definitive book about the alien autopsy, it would be Philip Mantle. In great detail, Mantle outlines the whole story of the alien autopsy from the first public mention of any sort of film footage by Reg Presley of the Troggs (yeah, the Wild Thing group), to the worldwide interest in it. He explains how he entered into the investigation nearly two decades ago and what he has learned along the way. For those interested in all details of how the film was found, or maybe I should say, for those interested in the various versions of how the film was found and what was on it, this is the book. In fact, that is what is good about this book. It provides the information in a chronological form but with all the variations on what was said and by whom as more was learned about it. Mantle presents the material in a fairly neutral form and I did find that somewhat disconcerting. I would have liked to see more commentary from him about the various aspects of the case. Don’t get me wrong, he offers opinions, but most of them are from those who have had some involvement in the alien autopsy case whether from the point of their creation of it to those who were on the fringes of the research about it. In the end, I had a fairly clear idea of what Mantle thought, though some of that comes from the words of others. For example, the last chapter is the words of Mark Center who has a negative opinion of the film. And information just before that are my thoughts based on the admittedly unscientific poll I ran here about the reality of the film and the surprise, at least for me, that so many thought there was something of value in a study of the film. And just before all that is a long interview with Spyros Melaris who said that he was deeply involved in the production of the autopsy film, which, if true, means the whole thing is a hoax. Refuting him, somewhat, is a chapter dealing with Ed Gehrman, an American who claims, among other things, that he has found the real crash site based on information supplied by the cameraman... or rather information supplied by the cameraman through Ray Santilli. Gehrman asks, "If there was no cameraman, how could he describe a real site in New Mexico?" But that doesn’t do much to validate the alien autopsy and in the end, it is clear that all aspects of it have been explained. The evidence presented, including interviews and discussions with those who have the inside knowledge of the case should convince nearly everyone about the truth behind the alien autopsy. Mantle’s book provides all the information that is needed to understand the autopsy from the very beginning. He leaves a little wiggle room at the end, though it is fairly clear what the conclusion of the reader should be. 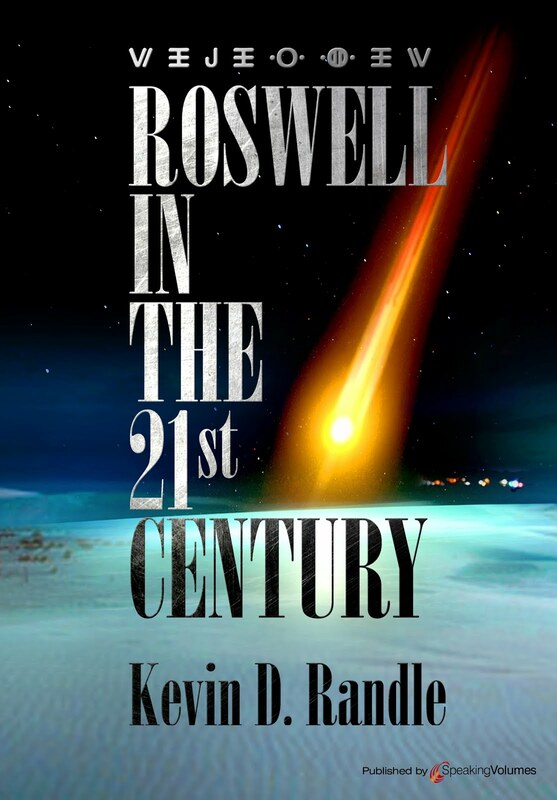 This is the one book to own if you have an interest in the alien autopsy, if you are interested in this one aspect of the Roswell UFO crash case, or you just would like a glimpse into the British world of music and television production. I have seen, over the last several months, nothing but criticism from the world of the skeptic about our efforts to assemble a team to investigate the Roswell claims. We have published little about our investigation, other than to announce the members of the team, and the skeptics and debunkers have found nothing to like about it. They are convinced that all we will do is reinforce the ideas that have already been published. That is, we’ll endorse the extraterrestrial and that is it. In fact, I believe that the only answer they will accept is that Roswell was something mundane, most probably a weather balloon array launched from Alamogordo on June 4, 1947. If we determine anything else, regardless of what evidence we might uncover, it will be rejected as more of the same. They all know that there has been no alien visitation and therefore anything that suggests otherwise is the result of poor technique and investigation on our part. Any eyewitness testimony that suggests otherwise is the result of poor memory, confabulation or outright lying. Nothing these people say will be believed, unless they provide testimony that what fell was something mundane, most probably a weather balloon array launched from Alamogordo on June 4, 1947. If, however, the eyewitness testimony reinforces the balloon explanation, then those memories are accurate and reflect reality. It doesn’t matter if those memories are can be proven false with documentation, they must be believed because they lead directly to the accepted explanation. As I say, all this is ridiculous because we haven’t completed our work. We have developed some interesting leads, but the skeptics are already rejecting our research without seeing any of it. I’ll give you two minor examples of what we have found. First, I spent some weeks trying to learn if there was any sort of archive that would house NOTAMs. Now, I realize that there really is little of historical value in a NOTAM. These are simply notices to airman about temporary conditions that would affect flight operations. It might be a runway closing, it might be something about lighting at an airfield, or it might be something that could pose a threat to aerial navigation such as the launch of an array of balloons that could cause trouble for an aircraft. You would think that the answer would be simple to find, but it wasn’t. I called, wrote, emailed and communicated with a couple of dozen different agencies most of them within the FAA. I finally learned that no such archive exists. The rules said that the NOTAMs be held for a short period and then destroyed when no longer useful. When you think about it, that makes sense since there would have been tens of thousands of them and most would have little historical importance. In other words, once the runway was reopened, who really cared that it had been closed for two weeks half a century earlier... Or that the arrays of balloons that could create an aerial hazard were no longer being launched around Alamogordo. It would have been nice to see, exactly, how the NOTAM was worded, but that information is long gone. The second point is also relatively minor. The skeptics complain that no one saw the object in the air. We, and by we I mean Don Schmitt, Tom Carey and I have found several different witnesses to an object in the sky at the right time. First was William Woody, who recently died, and who, as a youngster saw something streak across the sky while working outside late one night with his father. Days later, they thought they would go in search of it but were turned back by the military cordon. Second was E. L. Pyles, who was serving with the 509th Bomb Group in 1947. He said that as he was walking across the base, he saw something flare across the sky. Karl Pflock dismissed this testimony, writing that Pyles couldn’t remember much. Pyles, according to Karl, said, "It was in forty-seven. I don’t remember the month or the date." In the next paragraph, in attempting to learn about the time of night, Karl asked a couple of questions. Pyles replied that a "few days later," he saw the "RAAF Captures Flying Saucer" story. That means that he couldn’t put an exact date on it, but did identify it as the first week in July, 1947, contrary to Karl’s statement a couple of sentences earlier. In other words, Karl’s criticism was inaccurate, but the skeptics never called him to task on it. Third are the nuns. We had information based on what had been written in personal diaries. We believed then, and I believe now, that information is accurate. We, as had others, traced those diaries to Oklahoma, but we now have new information on their location. We are attempting to get permission from the church to review them and end this problem. In other words, we hope to see the diary entries in question. What the diaries would do was put a date on this astronomical phenomenon, whatever it might have been. We should get a good description of it as well as the time it fell. It could be an important bit of documentation. Of course, until we see the actual entries, we won’t know how good that documentation is or even if it is there. I remember back in the bad old days as the Condon Committee was working their magic, and those on the skeptical side complained that the UFO enthusiasts would accept no answer other than we were being visited. I realized then that Condon had a tough job because of that. Then again, we might be.